Available in 15 to 150 lb capacities. VFD Customer Pole display. Adjustable & easy to read VFD display Large stainless steel tray. Use in Supermarkets, Cafeterias, Speciality Stores, Shipping and more! 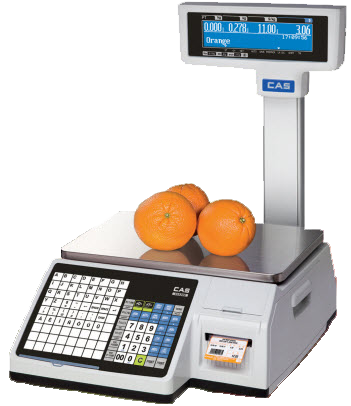 The CAS AP-Series is an excellent value retail weighing scale that is designed for Deli's, Cafe's, Sweet Shops and many other types of stores. 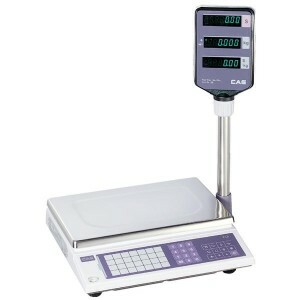 With its modern design, it supports both Metric (Kilograms, Grams) and Imperial (Pounds/Ounces) measurements. 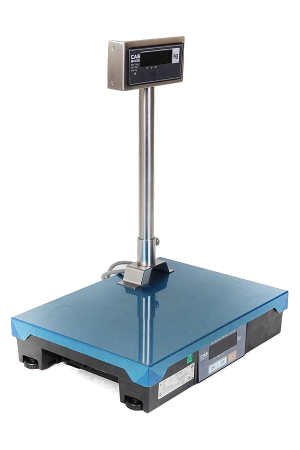 The VFD pole display is provided as standard. You can attach a Flat,Veg or a Sweet scoop.